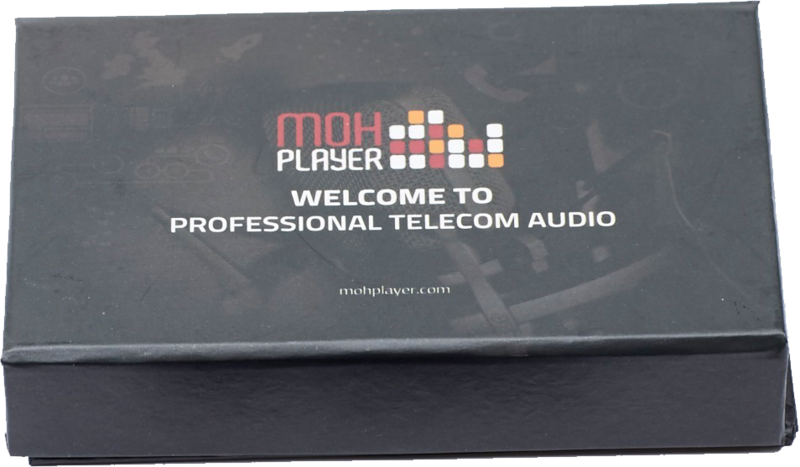 MOH Player Limited is based in the UK but offer a Global Service.We are experts in Telecommunications High Tech product design and sophisticated web development.We recognised that most customers who buy a new phone system (and a Message On Hold player) need a quick, cost effective and simple way to get custom message on hold announcements. 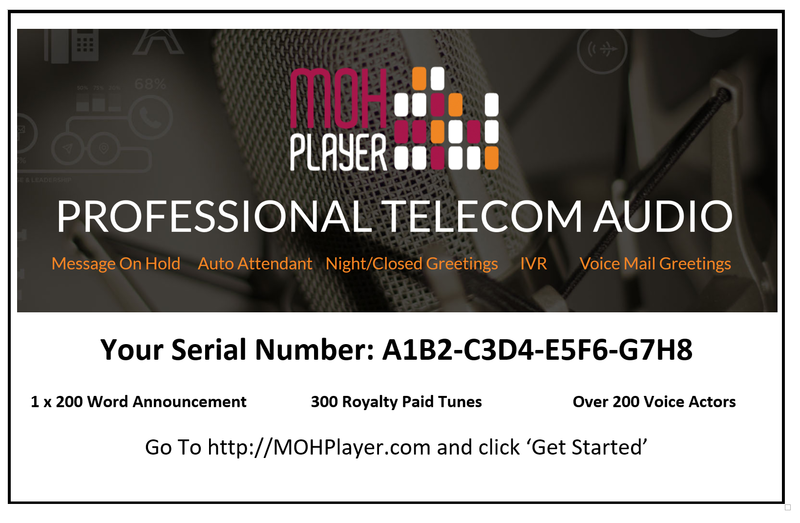 We designed a brand new MOH Player and developed a sophisticated web system to bring thousands of talented Voice Actors together with customers to create and deliver custom Announcements in a tightly controlled, simple and cost effective process.Our focus is providing the global Telecom channel with 'Messages Included' for Hold, Interactive Voice Response, Automated Attendant and in fact any Telecom system that provides announcements. We invite you to Contact Us today to discuss your custom announcement needs. One example is our unique 'All Inclusive' Message On Hold Player that includes a fully customized 200 word professionally produced Announcement at an unbeatable price.